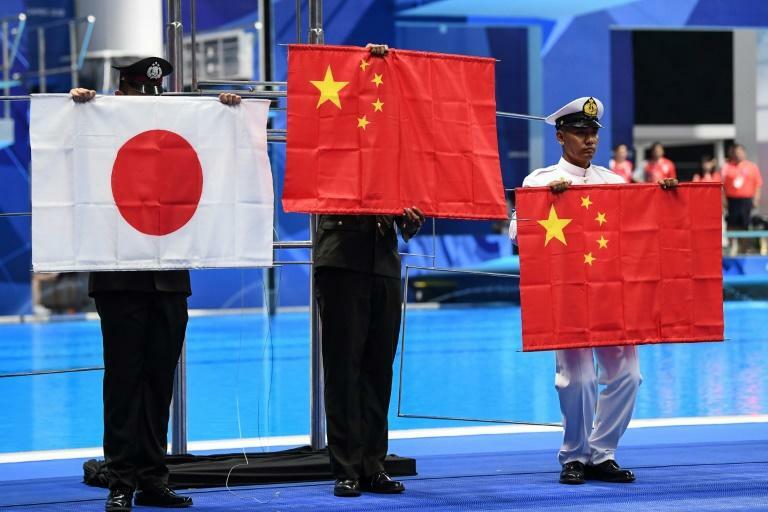 Chinese giant Sun Yang swept to Asian Games 200m freestyle gold Sunday to add to his Olympic and world titles -- then had his national anthem played twice after a flag-pole malfunction. The triple Olympic champion produced a blistering last two laps to clock one minute, 45.43 seconds and successfully launch his quest to win five gold medals in Jakarta. Victory was twice as sweet for Sun, who was stunned by Japan's Kosuke Hagino at the last Asian Games in 2014 and also took silver behind Korean rival Park Tae-hwan in 2010. From the moment Sun strode out sporting a bright yellow tracksuit and huge red headphones to roars from flag-waving Chinese fans, there was only ever likely to be one winner. The 26-year-old favourite absolutely smashed the final, finishing more than a second clear of Japan's Katsuhiro Matsumoto, celebrating by screaming out loud and punching the air as he soaked up the applause of his adoring fans. "I've waited eight years for this title," said an emotional Sun, easily China's biggest sporting personality. "It also gives me a golden grand slam of Olympic, world and Asian titles. It's a perfect result, a dream. It's unbelievable." Bizarrely his moment of glory was soured somewhat when the flags fell off the pole during China's national anthem, prompting Sun to growl at officials and demand a do-over. But flustered Games officials did away with the faulty pole altogether and simply held the flags. Earlier, Sun showed a softer side to his gnarly public image by lavishing compliments on rival Hagino. The controversial Chinese sparked a diplomatic row at the 2014 Asian Games when he branded the Japanese national anthem "ugly". But Sun has launched a charm offensive from day one in Jakarta. "I think Hagino is a good guy," he told reporters. "He is an inspiration to me. We should be working together to raise the level of Asian swimming." China's Wang Jianjiahe won the women's 1,500m freestyle title after beating countrywoman Li Bingjie in a battle of 16-year-old schoolgirls, the national champion touching in 15:53.68, just over a tenth quicker than her close friend. Liu Yaxin won the women's 200m backstroke in 2:07.65, before world champ Xu Jiayu celebrated his 23rd birthday by capturing gold in the men's 100m backstroke (52.34) to make it four out of four on the night for China. "I burst into tears when the Chinese fans sang 'happy birthday' to me," blushed Xu after dashing Japanese Ryosuke Irie's hopes of an Asian Games treble. "It was a nice birthday gift but I wanted the cherry on top -- a world record. It was still great to win." Japan stopped the rot as Satomi Suzuki won the women's 100m breaststroke in a Games record 1:06.40, before Daiya Seto retained his 200m butterfly title in a time of 1:54.53. 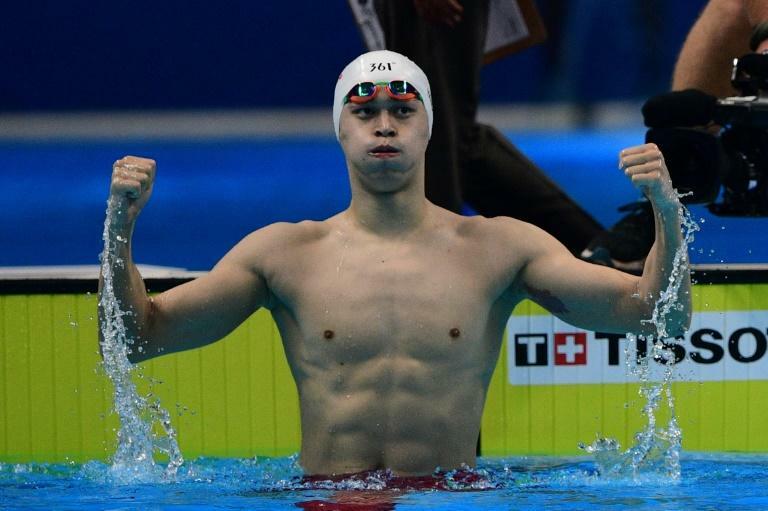 "I got a bit frantic in the last 25 metres but I got the job done," said Suzuki. "It gives me a lot more confidence going into next year's world championships and the 2020 Tokyo Olympics." Japan ambushed China in the women's 4x100m freestyle, setting a new Games best of 3:36.52 after a stirring anchor leg from Chihiro Igarashi to finish the night with three gold medals.